Being an avid foodie, I'm always on the lookout for new restaurant to check out. 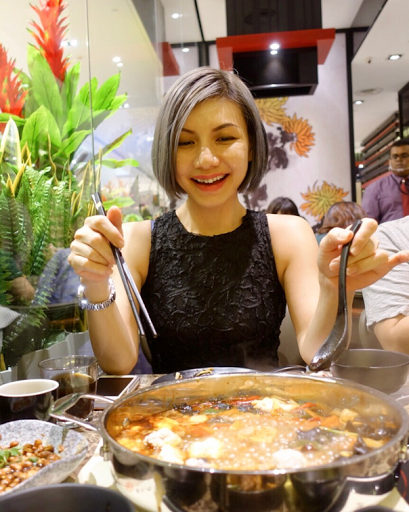 Hence, last week, I was at the newly opened Simmer Huang in Pavilion Elite with a few of my foodie friends. 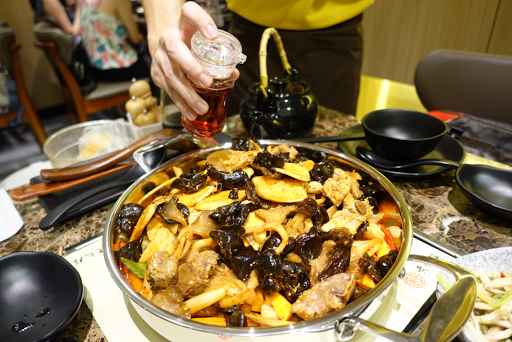 If you don't know yet, Simmer Huang is China's most popular hotpot chain famed for its unique Three Sauce Simmer Pot which was originated from the "Spicy Fish" in the Imperial Cuisine of Qing Dynasty. 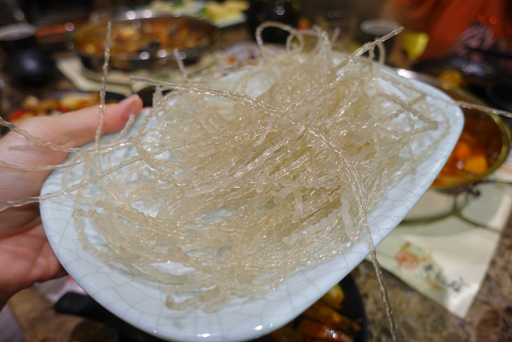 Since it's Chinese New Year, we started off with 'Yee Sang'. 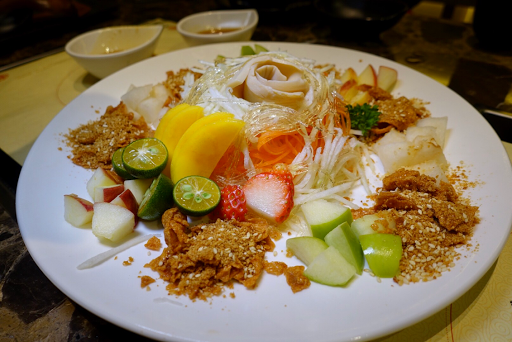 Absolutely love the healthy and refreshing fruity combination Yee Sang. Done just right, the octopus was crunchy and succulent. Dipping it into the special sauce definitely elevated this dish to a whole new level. 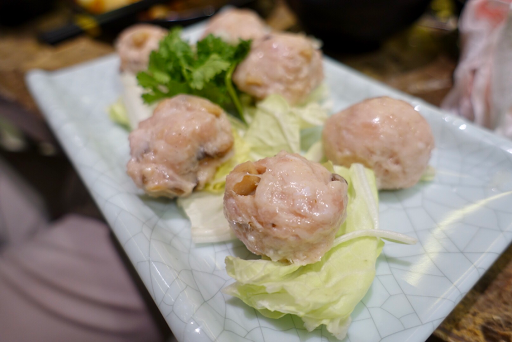 The mushroom are delish and packed with flavour. 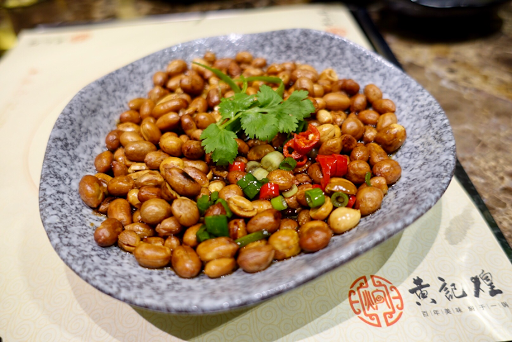 Fresh roasted peanut soaked in a sweet and sour vinegar. An interesting take on the peanut. 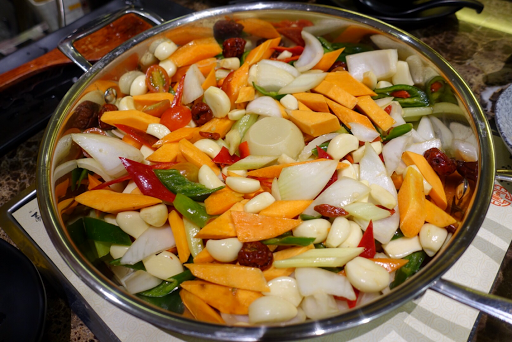 Simmer Huang specializes in a unique simmer cooking process using medical herbs for a nutritional balanced Chinese dish. 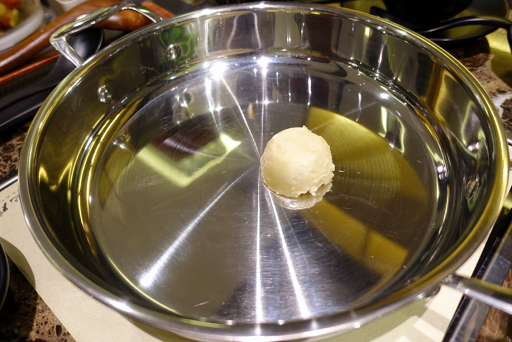 The hotpot is cooked right before your very eyes and started with melting of the butter. Ten types of vegetables such as carrot, capsicum, garlic, onion and many more are simmered in their own natural juices without any water added. 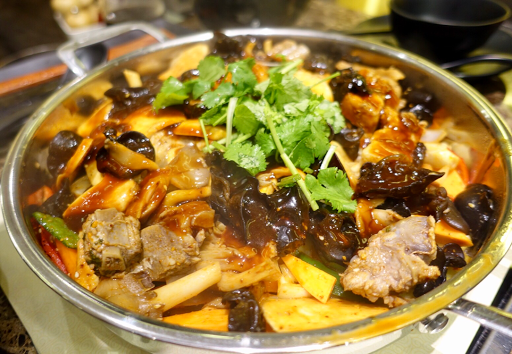 The perfect ratio of the juices simmered with the herbs and spices is the secret success of this amazing hotpot! 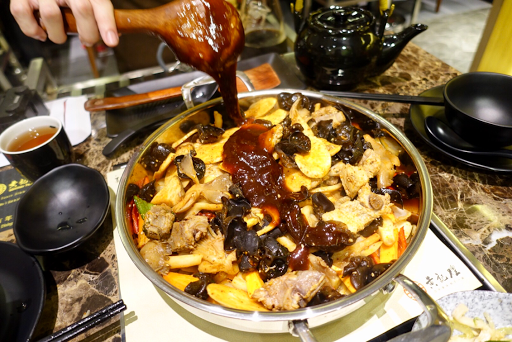 Next, the pot, then topped with the main ingredients of pork ribs, black fungus and assorted mushroom. 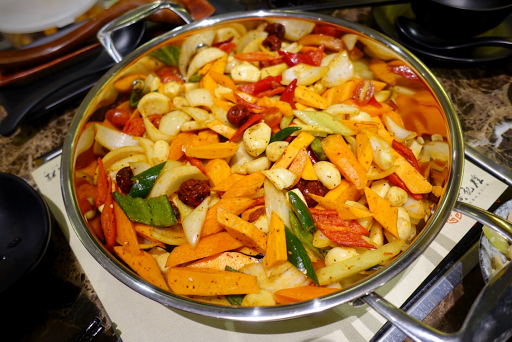 Salt, pepper, five spice powder and chili oil are also added to bring out its flavour. 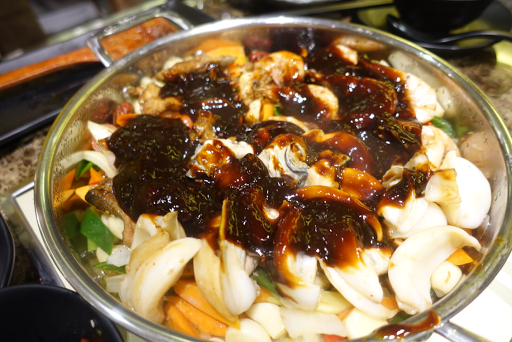 Finally, the special spicy sauce is drizzled over and simmered for another few minutes. The whole cooking process takes about 15 minutes and it's ready to be enjoyed! 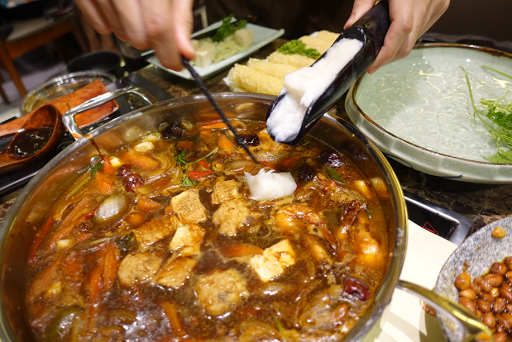 Aromatic and packed with flavour, the piping hot simmering pot was wonderful indeed. Other than spicy, there are 4 other types of sauce choices to choose from such as classic, seafood, hot & spicy or soy. 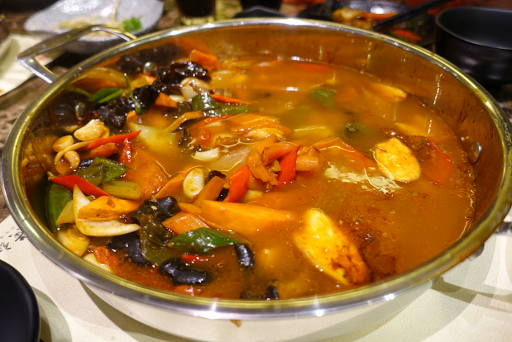 We also ordered another pot of seafood version. 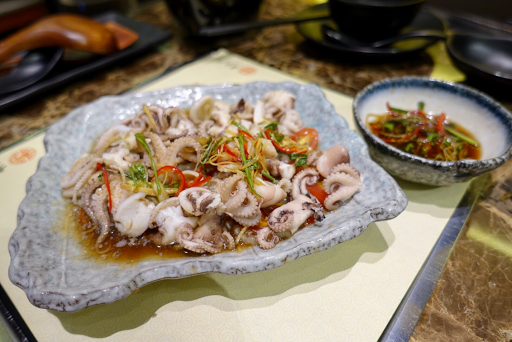 The cooking process was similar with vegetables as the base, but topped up with mains such as fish, prawn and squid. 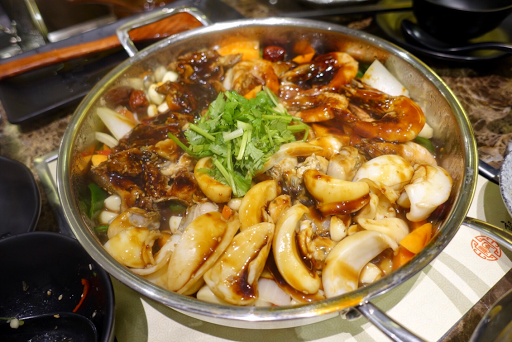 The seafood pot topped with classic sauce brings out the fresh seafood sweetness and flavour. Not to mention, the simmering cooking method also helps retains the nutritional values of the food. 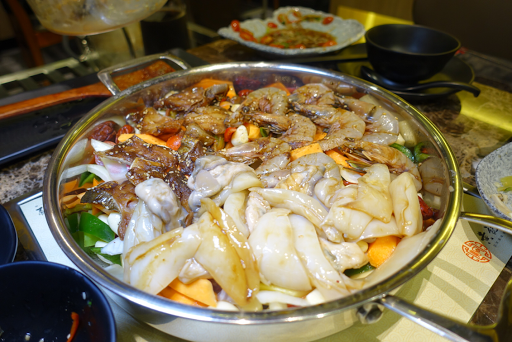 Other hotpot available are grouper, silver pomfret, chicken, frog, beef and many more. 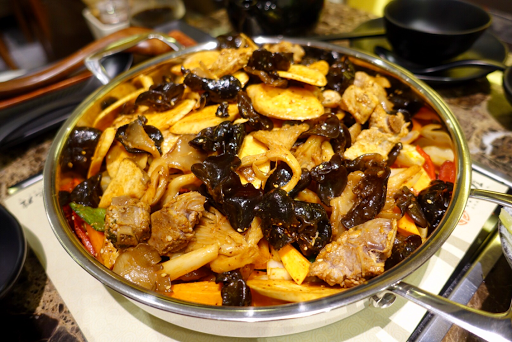 If you are more adventurous, you could also choose your own mixture of ingredients from pork belly, pig intestines, pig stomach, flower prawn, cod fillet, red snapper fillet, Australia beef and many more with the Four Treasure Pot RM130 or Five Comby Pot RM150. Also, don't miss out chef specialty item perfect for steamboat. 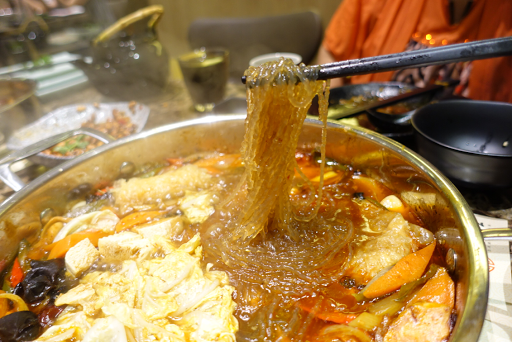 Just request to add soup (no extra charges) into the hotpot for the steamboat experience. Highly recommended! Love the combination and oh-so-perfect texture. 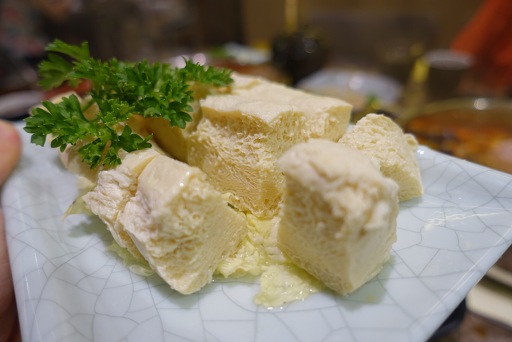 The tofu soaking up the flavourful broth was amazing. 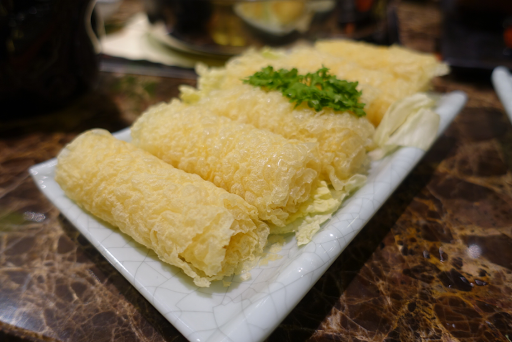 Springy and chewy texture, make sure to boil them at least 7-8 minutes or until it turns glassy for the best texture. 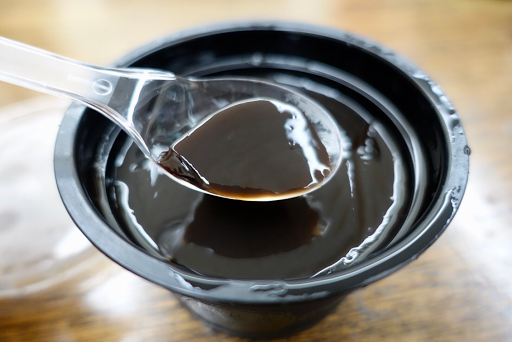 Simmer Huang dessert is sourced from Hui Lau Shan because they are under the same group of company. 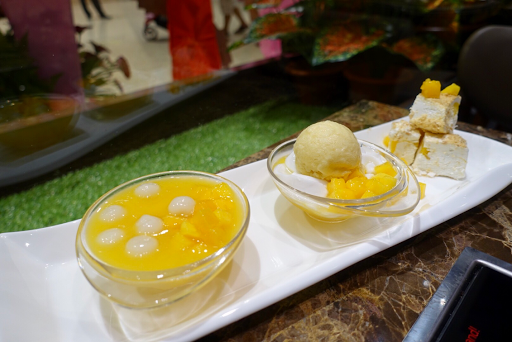 The platter contains 3 combinations of desserts - Glutinous Rice Ball and Mango Cubes in Mango Puree, Mango flavoured Ice Cream with Mango Cubes and coconut & Cream Cheese topped with Mango and Crispy Crust. Enriched with nourishing herb, perfect to cool the body after a hot simmering meal. 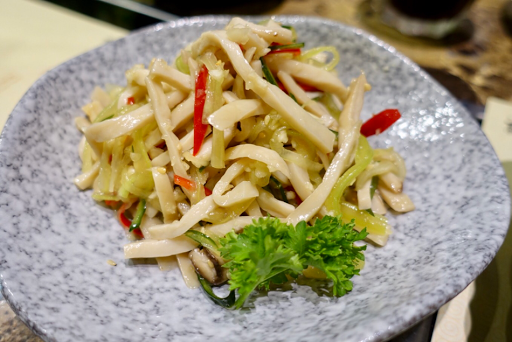 In a nutshell, Simmer Huang offers a unique dining experience. From hotpot to steamboat plus the unique appetizer, it was just amazing. Not to mention, the delicious and healthy method of cooking.